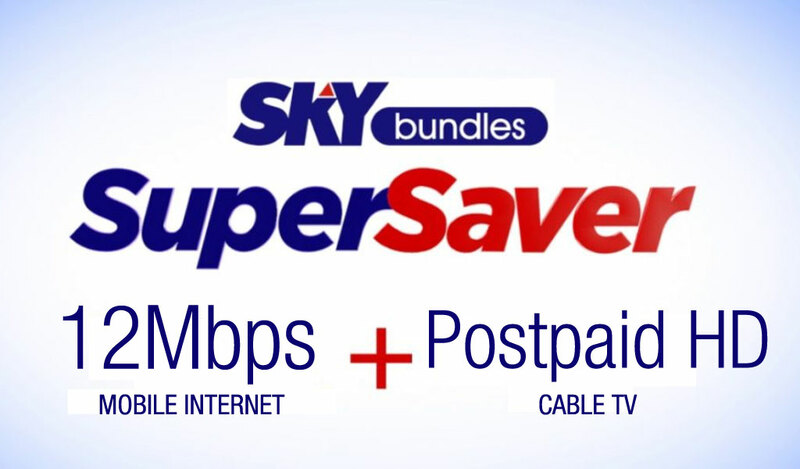 Sky Cable has introduced recently a new bundle plan that comes with a 12Mbps mobile internet and a Postpaid HD Cable TV. *The mobile internet has minimum speed of 12Kbps with 80% network reliability. ** All FREE data access services have a total daily limit of 800 MB. When you reach 800 MB, all data services will be disabled. Data services will resume at 12:01AM of the following day. *** Cable channels and shows dependent on your SKYcable subscription. **** Available at an additional fee per month.